Le Parfum opens with a wave of dazzling, white light – an effect that is akin to pulling the curtains open on a bright morning and allowing beams of sunlight to pour in through the window. In scent form, this light is represented by crisp touches of sweet apple, the sweetness of lemon and the greenery of flowers. The flowers that permeate Le Parfum’s signature, namely sweet pea, jasmine and ylang-ylang (with the emphasis on the former two) are impeccably well behaved, with the impression being one of a expertly arranged bouquet of perfectly shaped white flowers with absolutely no room for anything ripe, naughty or funky. As Le Parfum is a Kurkdjian creation it will come as no surprise that the base is elevatory blend of musks, wood and patchouli, but what is surprising is that even in the far dry down these base materials never feel heavy or oppressive and allow for Le Parfum to continue its ethereal dance for a mightily long time. Smelling Le Parfum brings to mind my Grandmother’s description for how she likes her linen; “crisp and white”. To me, Le Parfum epitomises the idea of crisp, white cleanliness but it’s far from being just another ‘laundry scent’ and whilst it may be perhaps a bit too safe for its own good, it really is very pretty! It’s also difficult to smell Le Parfum and not draw comparisons with two of Kukdjian’s other works – Elie Saab Le Parfum and Amyris Femme – both of which play on the same theme of clean, light bearing flowers, but where Elie Saab is a golden shard of warm, honeyed light and Amyris Femme is the pale pink, powdered light of twilight, Carven Le Parfum represents the clear, white dawn. Le Parfum is available in 30ml (£38), 50ml (£55) and 100ml (£72) Eau de Parfum. Matching body products are also available. Sample, notes and quotes and image 1 via Carven. Image 2 via beautybase.com. 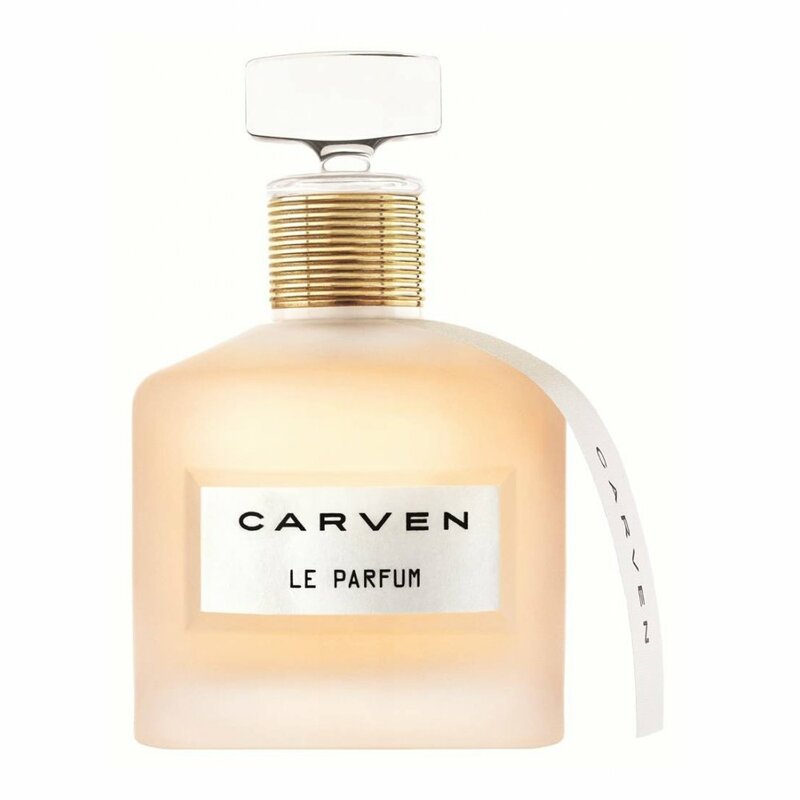 Posted in Carven, Feminine, Floral, Perfume Reviews and tagged Amyris Femme, Carven, Carven Le Parfum, Elie Saab Le Parfum, Feminine, Floral, Francis Kurkdjian, Guillaume Henry, Le Parfum, Perfume. Bookmark the permalink. It’s a lovely scent. If pushed I’d say that Amyris and Elie Saab are better but I wouldn’t say no to a bottle of the Carven. Dawn scents can be very useful as the summer sadly and inevitably ends. If the job they’ve done on this is anywhere near the wonderful resurrections of Ma Griffe and Vetiver then this is well worth a sniff… I just more people sold it, that, I suppose, will come with time. I’m so glad to hear that the resurrections are well done! I’ve not tried the old or new version of either but Ma Griffe certainly intrigues me. Le Parfum should be in most department stores. I looked when al the initial blurb about the release cam out and found it no where… time to look again! I wonder what you’d make of Ma Griffe, perhaps the most abstract scent ever made…. I believe it was an exclusive in Harrods to start with then had a national release in June. Oooh – definitely going to try Ma Griffe now! Lovely review, many thanks. Your description of FK as a perfumer of light is most apt. I’ve seen FK quoted a number of times now on the theme of effortless, almost unthinking beauty and grace. I’m starting to develop a few qualms about how FK idealises this form of fragile, dependent femininity. Of course he can do whatever he likes and I don’t have to follow him, but I’d love to see if he can turn his hand to something else. Can he (or has he already?) 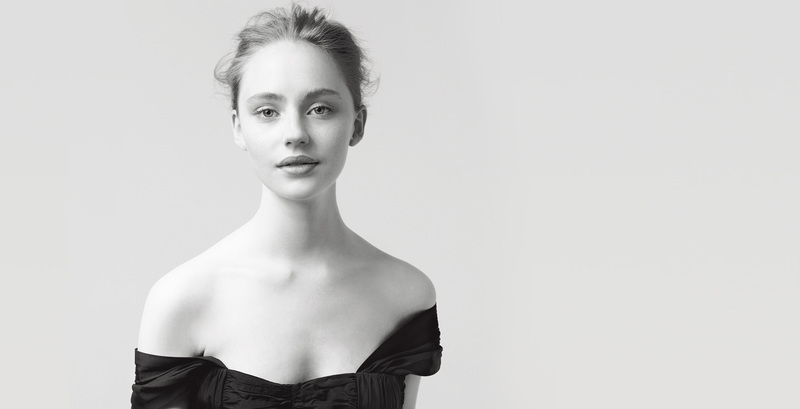 compose a perfume inclusive of women’s mature strength, wisdom and wit? Wouldn’t it be fun to bundle FK into the Tardis and zap him back in time to meet Germaine Cellier. With one throaty laugh she would reduce FK to jelly. He has definitely done some more full-bodied work (Eau Noire, Absolue Pour le Soir etc) but I’m not sure any have set out to capture the elements you have mentioned. Would one spray of Bandit be all M Cellier needs?